Styled with perfect crop hoodie. 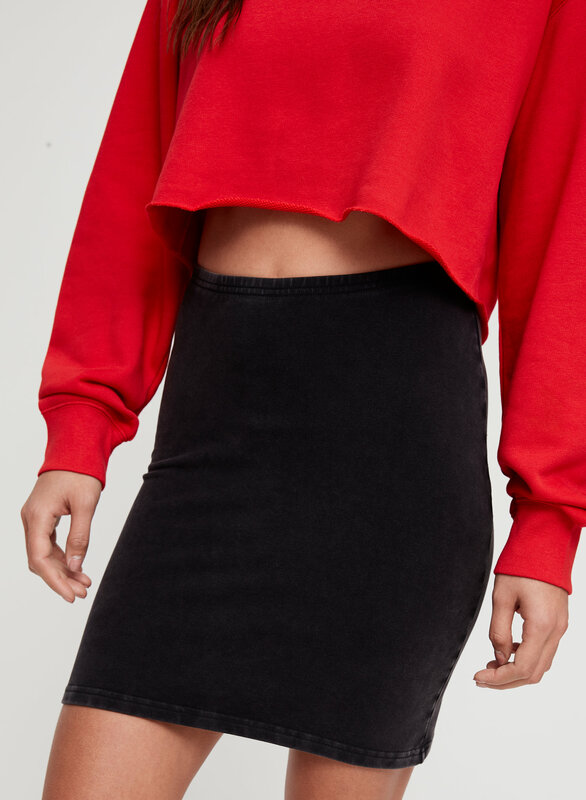 This is an essential '90s-inspired mini skirt. 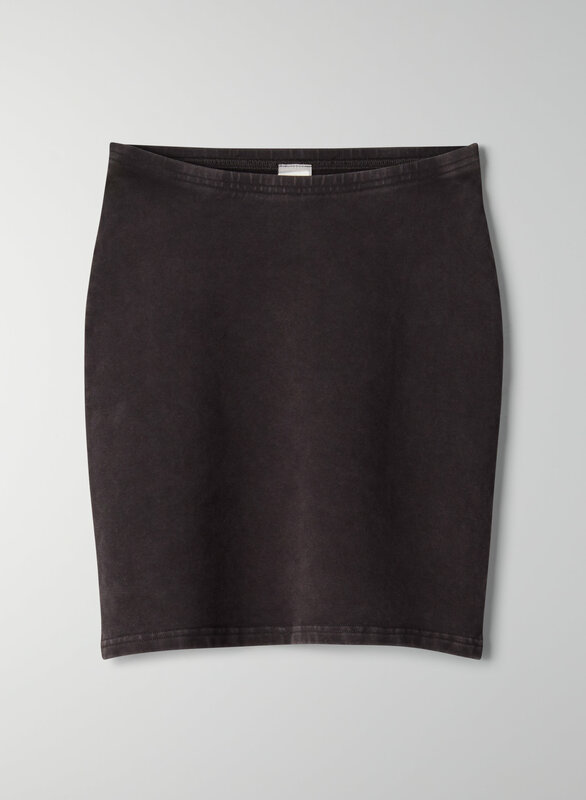 It's made from brushed terry fabric with a suede-like feel and subtle stretch.